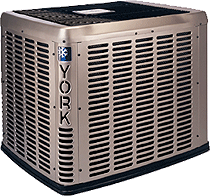 Air Experts knows you want the best when choosing an air conditioner, and unlike other AC companies, we give you options. That’s why we are happy to offer Trane Air Conditioning, York Air Conditioning, Carrier Air Conditioning and Ruud Air Conditioning equipment within our air conditioning replacement services. All brands have been selected for their outstanding reliability and efficiency. We’ll have an offering that fits your budget, increases home energy savings, and keeps you cool during the hottest summer days. How do I know when to replace my air conditioning system? Ask a technician to tell you the SEER rating (Seasonal Energy Efficiency Ratio) for your current AC unit. The higher the SEER rating, the greater the efficiency. A 13 SEER air conditioner is the minimum efficiency level now made in the U.S. If you’re running a unit with a lower level SEER, it may be time for you to replace the air conditioning unit.A new, high-efficiency air conditioning system can help you save 40% on cooling costs. Do you know the age of the air conditioning unit? If an AC system is older than 7 years, it’s considered inefficient by today’s energy efficiency standards and may be costing you additional dollars to run. Replace an old AC unit with a high-efficiency model and reduce your energy costs. Does your home’s air conditioning unit break down frequently? Air Experts can provide you with a variety of replacement options making it easy for you to determine what works best for your budget. Financing is also available. When was the last time a tune-up was performed on your home’s air conditioning unit?10 SEER units (standard in homes built through 2005) can operate at 6 to 8 SEER or less. To improve efficiency, a homeowner can opt for an air conditioning tune-up, if the unit is sound. If you prefer another brand, we can provide those; however, we recommend Trane, York, Ruud and Carrier for their reliability and quality. Whatever your requirements, we provide the most sophisticated and advanced air conditioning products available today. Contact us for an air conditioning replacement.